America has its fair share of places that go bump in the night. 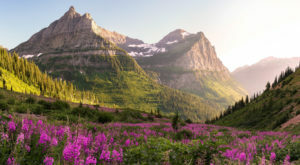 Whether you believe in spooks or not, there are certain places in each state that are guaranteed to make the bravest explorer break out in goosebumps. 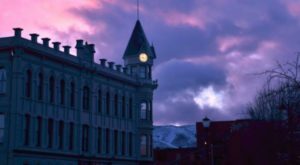 This road trip will take you across the country and through some of the most haunted places in America. 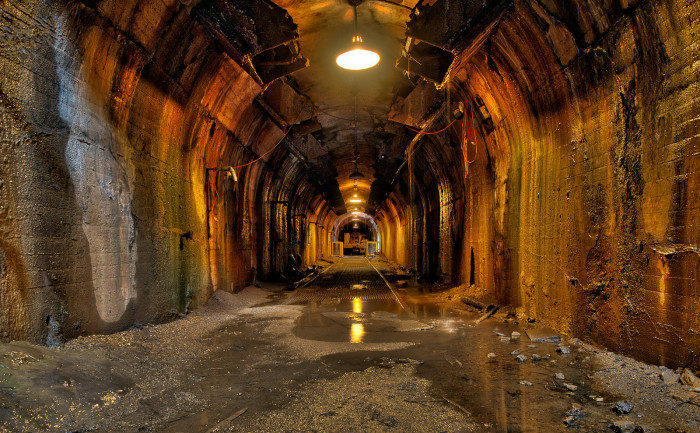 From abandoned mines and eerie cemeteries to bloody battlefields and haunted houses, you’ll get a taste of all the creepiest places this nation has to offer. 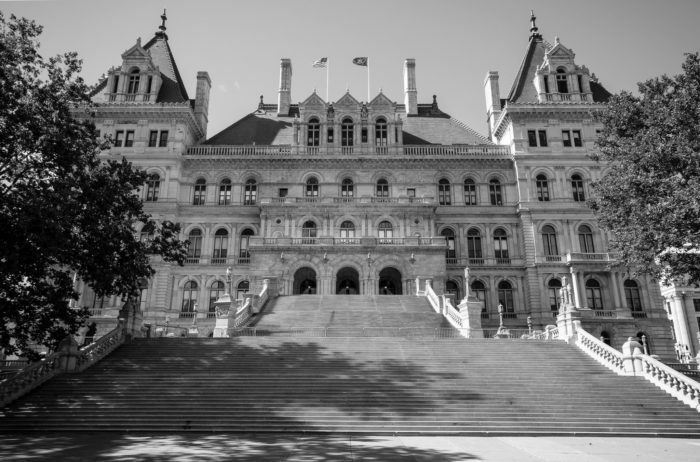 Please note: we weren’t able to include every state in this road trip, but we did our best to cover as many accessible and easily located haunted sites as possible. For Google Map directions, follow these links to the eastern, western, midwestern, and southern portions of our trip. These pig iron furnaces opened in 1882 and quickly gained a gruesome reputation. Workers were often crushed between the giant moving parts of machinery. 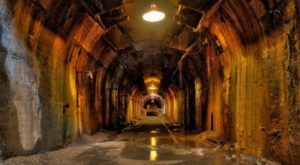 At least one person was pulled into the molten steel of the furnace and was burned alive. 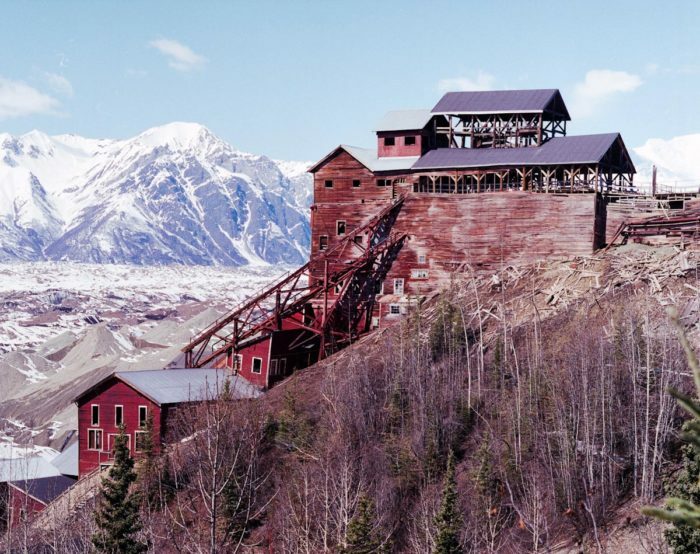 This early 20th-century copper mining camp is said to be one of the most haunted places in North America. In the 1900s, construction of new homes in the area was halted after too many workers quit due to what they reported as “almost constant” wailing screams and tools disappearing – occasionally right from their tool belts. Note: this spot isn’t listed on the road trip due to obvious distance considerations, but it is located right here. In 1935, a former employee of this hotel was murdered and stuffed into the elevator shaft. 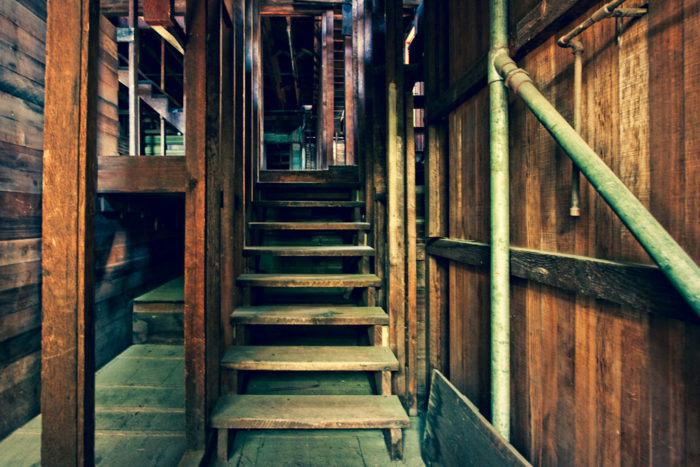 Today, guests report seeing his ghost in the stairwells and basement. Disembodied voices are also frequently reported. 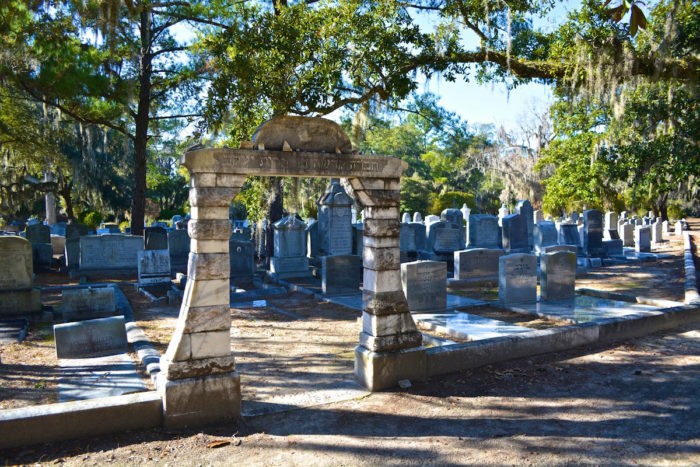 This historic cemetery was first opened in 1843. Visitors often report grave statues moving on their own and shifting poses, as well as the occasional ghost in Victorian-era garb. 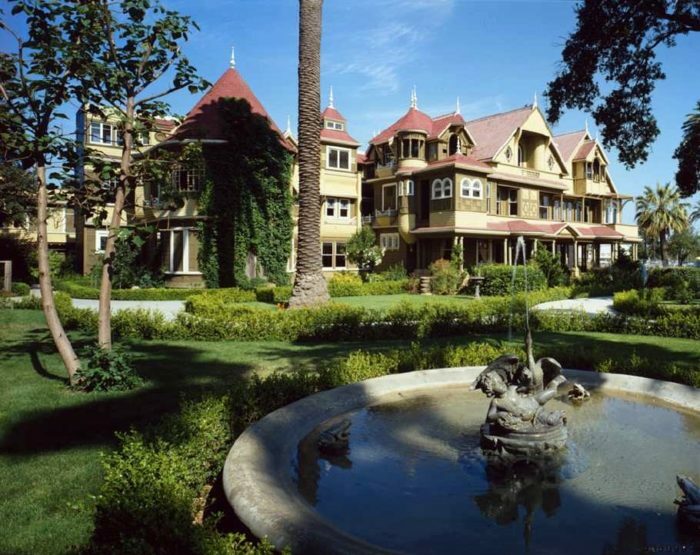 Sarah Winchester, the widow of the owner of the Winchester rifle company, began building this maze-like home in 1884. She believed that she was being haunted by the ghosts of those killed by Winchester rifles, and built this 160-room mansion in an attempt to confuse any angry spirits that might pursue her. The Unsinkable Molly Brown is rumored to haunt her old home. Visitors report smelling an overpowering scent of roses or tobacco smoke, as well as seeing apparitions of Molly and her husband. 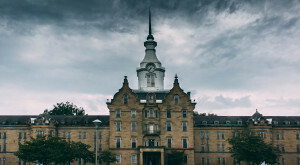 This mental hospital was built in the 19th-century to house the “criminally insane.” Upon its closing, patients were found strapped to beds for days and wandering the halls covered in their own filth. Today, the hospital is rumored to be incredibly haunted. This fort is over 150 years old. The ghosts of Confederate soldiers are reported to stroll along the ramparts at dusk. 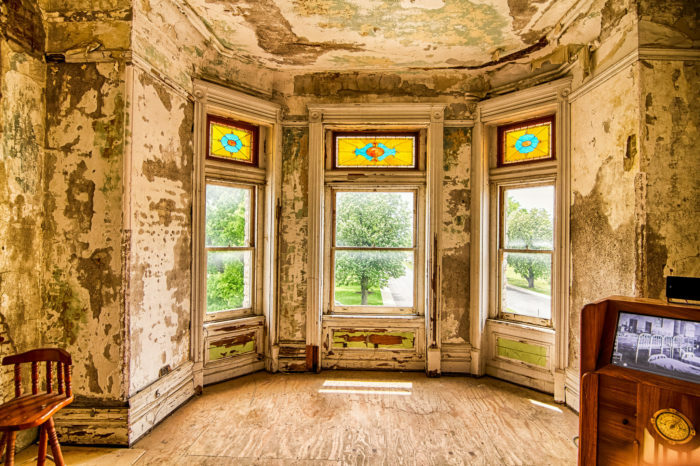 The ghosts of the entire May family is said to haunt this 19th-century home. John and Marena May died of tuberculosis and childbirth, respectively, while their young daughter died at the age of three. This cemetery is reportedly haunted by a pack of ghostly dogs, who appear to chase late-night visitors. The ghost of Grace Watson, who died of pneumonia at six years old, is also thought to dart playfully between the headstones. 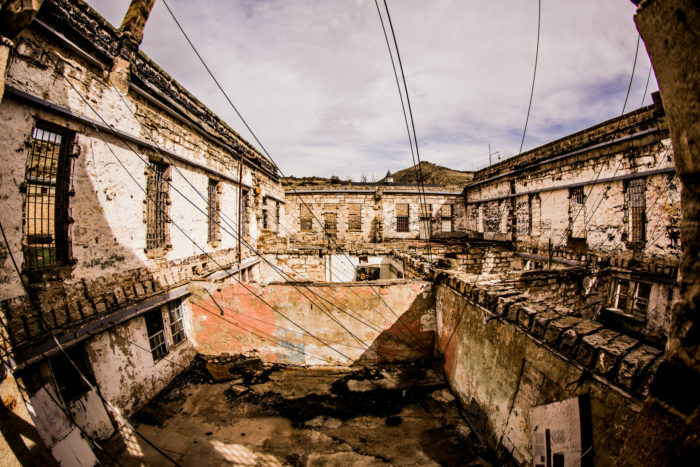 This 101-year-old prison was reputed to be the most violent penitentiary in America during its operation. 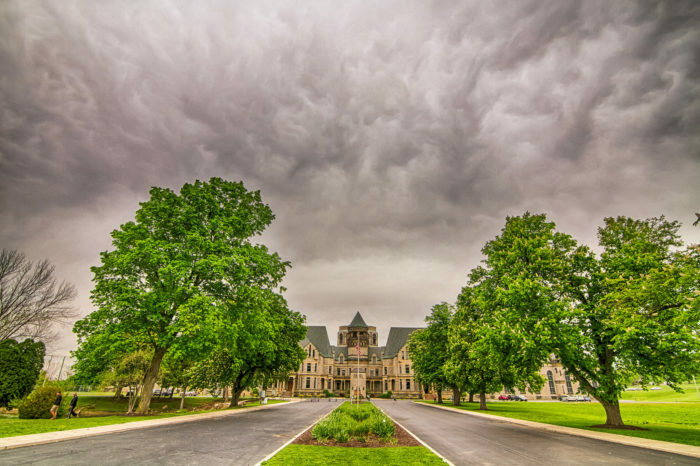 Today, its halls are said to be haunted by the ghosts of former inmates. 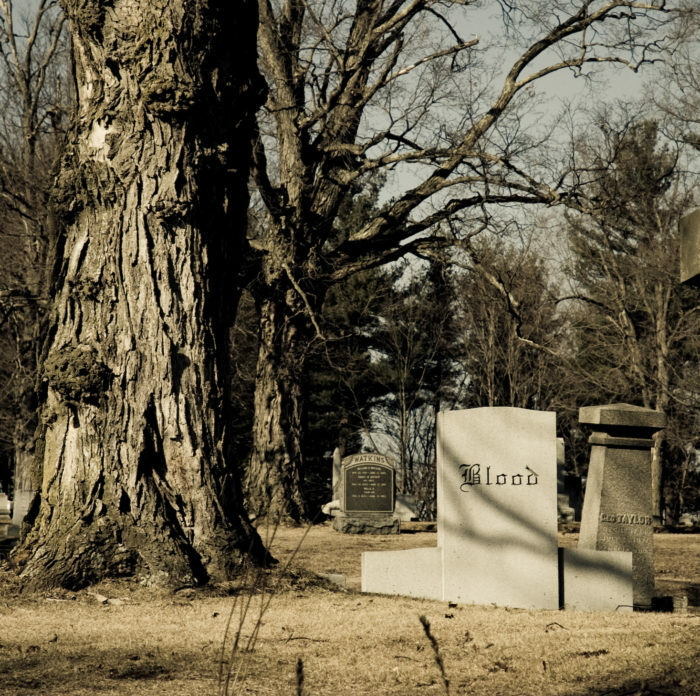 Reports of supernatural activity at this graveyard dates back to the 1970s. 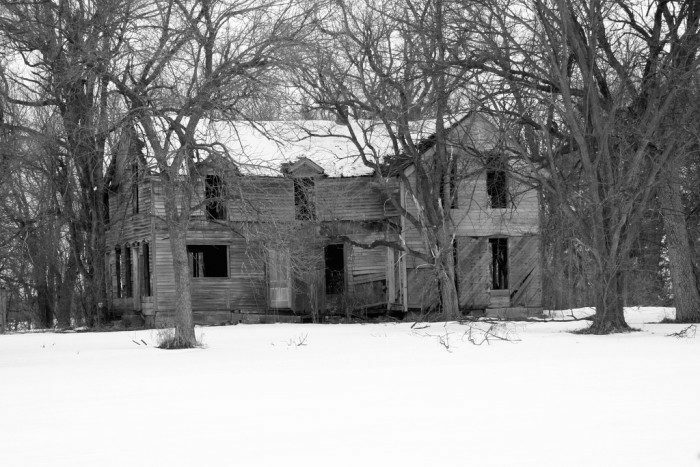 Besides the usual sightings of ghosts and floating orbs, multiple sightings of a floating, shrinking, and disappearing farmhouse have occurred. 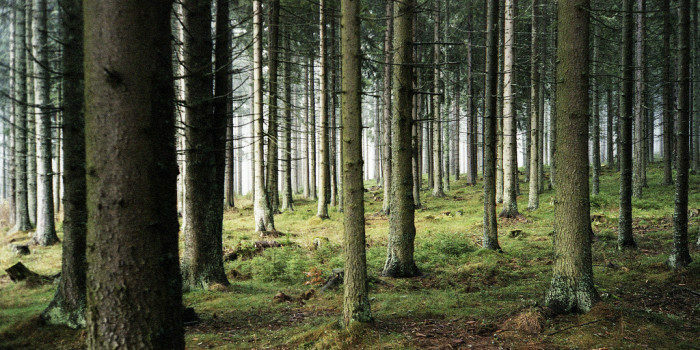 Some visitors even claim to have seen figures in long robes moving amongst the trees. This house was once a stop on the Underground Railroad, a noble purpose that turned tragic when a fire killed a group of slaves hiding in the home. The owner buried the ashes in the basement, where many ghostly sightings have been reported. Situated next to an abandoned church, Satan himself is said to appear here twice a year. People sometimes report memory loss and headaches upon visiting the cemetery. 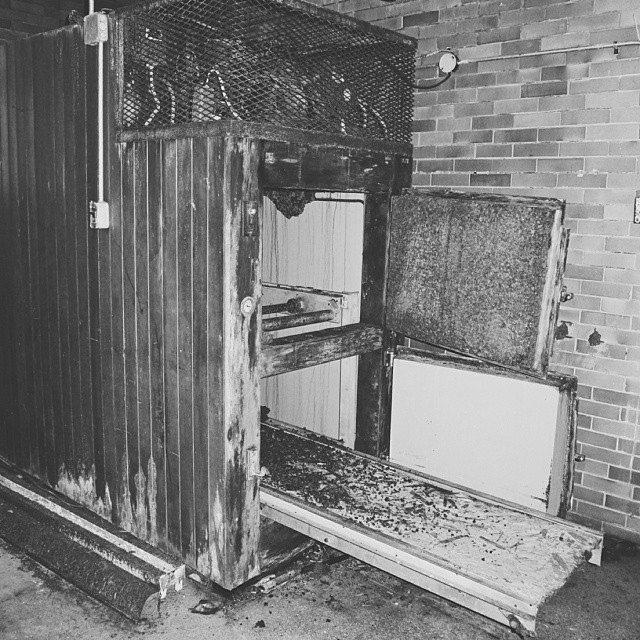 Opened in 1910 to treat tuberculosis victims, over 63,000 people have died in the rooms and halls of this hospital. Witnesses report all manner of supernatural encounters, and this spot consistency ranks among the most haunted spots on the planet. 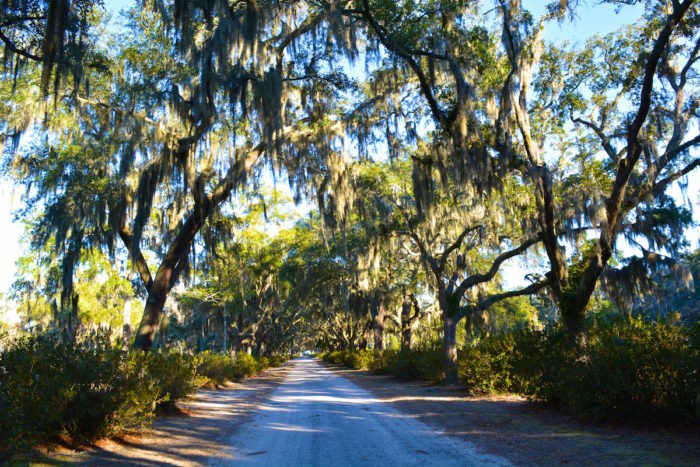 This plantation was the site of at least 10 murders and the deaths of countless slaves. It now operates as a hotel, though the former owner was shot on the stairs of the plantation by a stranger. This theater has been the site of multiple instances of violent attacks on construction workers and visitors, supposedly by angry spirits. Once used as an encampment and hospital during the Civil War, this place is said to be haunted by the ghosts of uneasy Confederate soldiers. Over 8,000 soldiers died on-site. Many of the paranormal encounters occur in or around the encampment’s historic lighthouse. 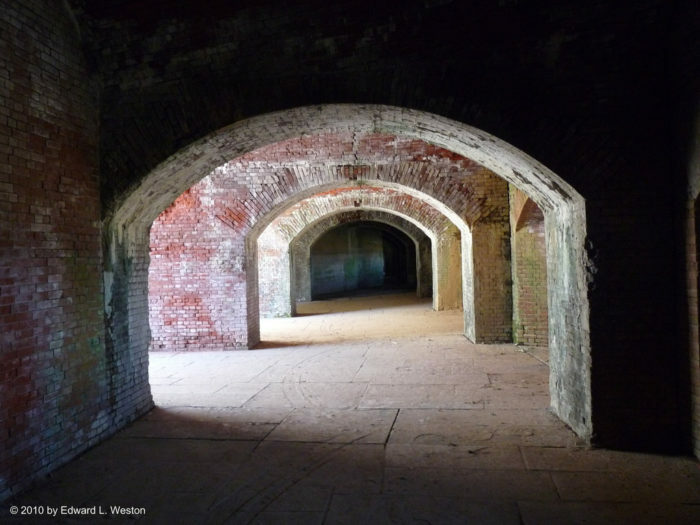 This 200-square-mile area in southeastern Massachusetts is said to be the most haunted spot in the state. Reports circulate regarding unexplained lights in the sky, to mysterious creatures and even cults practicing dark magic. Much of the activity centers around Hockomock Swamp, a 16,550-acre wetland. This hospital operated for more than 100 years. Visitors claim to feel an oppressive feeling upon entering the building. There have also been reports of lights flickering, though the building has not been connected to the power grid for years. Once the private manor home of Joseph Forepaugh and his family, this estate is said to be haunted by its former master and his mistress. Driven mad by guilt over his affair with his maid, Molly, Joseph shot himself in the head. Soon after, Molly hanged herself on the property. Guests report that the spirit of Joseph seems to be harmless, but that Molly may have more sinister intentions. This opera house is said to be haunted by singing ghosts. The haunting sound of vocal performances has been heard coming from the stage when the hall has been closed for the evening. The Savoy Hotel is the oldest continually-operating hotel west of the Mississippi River. The ghosts of past guests and employees are said to roam the halls of this 19th-century building. The bodies of hundreds of Civil War soldiers are buried where they fell on this historic battlefield. 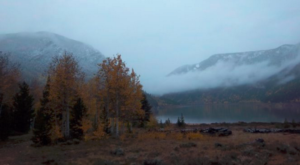 Witnesses report bugle sounds, rifle shots, and phantom soldiers. In the 19th century, the poor and homeless were often sent to poor farms in order to work for their keep. Annie Cook was reported to work her charges to death, and torture them on the grounds of her farm. 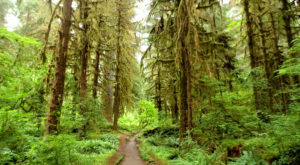 Visitors claim to have spotted her ghostly figure roaming the nearby woods. 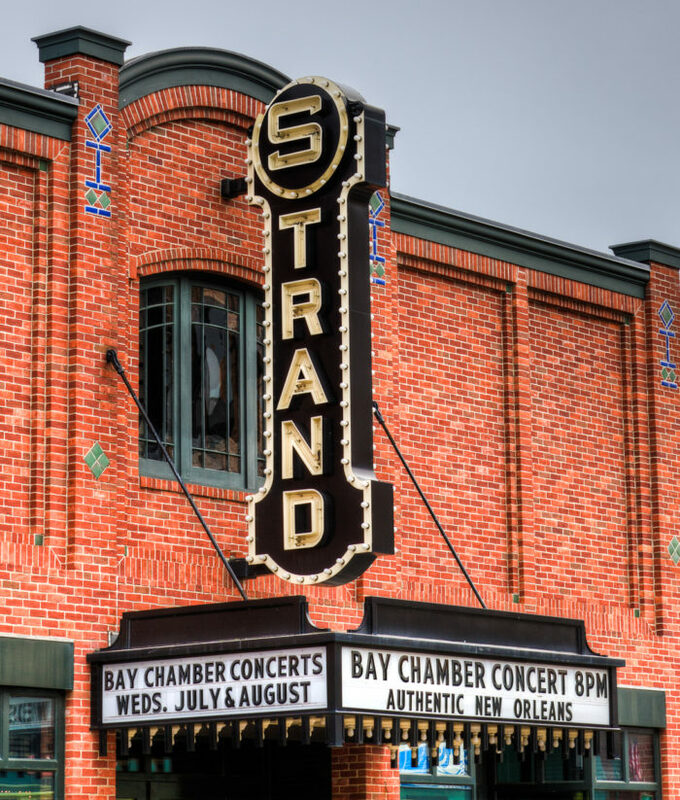 Piper’s Opera House has been operating since 1885, but ghostly activity has only been reported since renovations occurred in 2003. Patrons report seeing (and even speaking with) a man sporting a handlebar mustache and a lady in a blue dress. 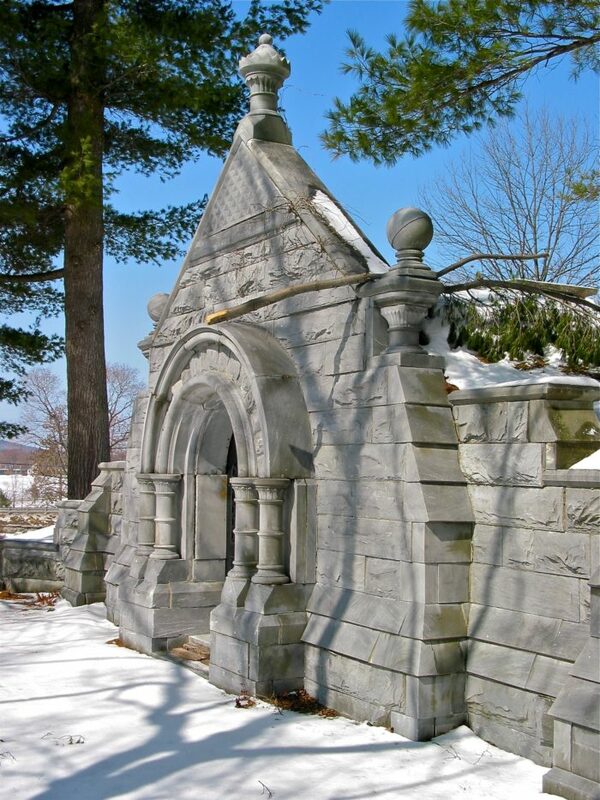 The angry ghost of Abel Blood is said to haunt this spooky New Hampshire cemetery. Locals say that the image on his gravestone becomes inverted at night and that strange tapping sounds are heard from within his tomb. This street features in a number of odd and unusual local legends, including accounts of KKK meetings, black magic practitioners and a ghostly boy that prowls the side of the road. In fact, Mafia hitman Richard “Iceman” Kuklinski dumped one of his victims on this road, an act which contributed to his arrest. The ghost that is said to haunt room 18 is apparently so violent that the hotel actually keeps that room padlocked. On the occasions that it has been unlocked, the hotel has experienced frightening paranormal activity. 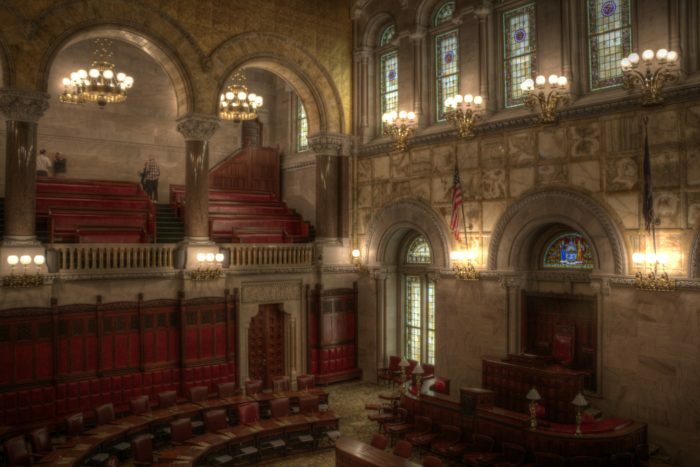 The ghosts of two former presidents are thought to roam this impressive structure. Other ghosts from the past have also been spotted, including a night watchman who died in a 1911 fire. 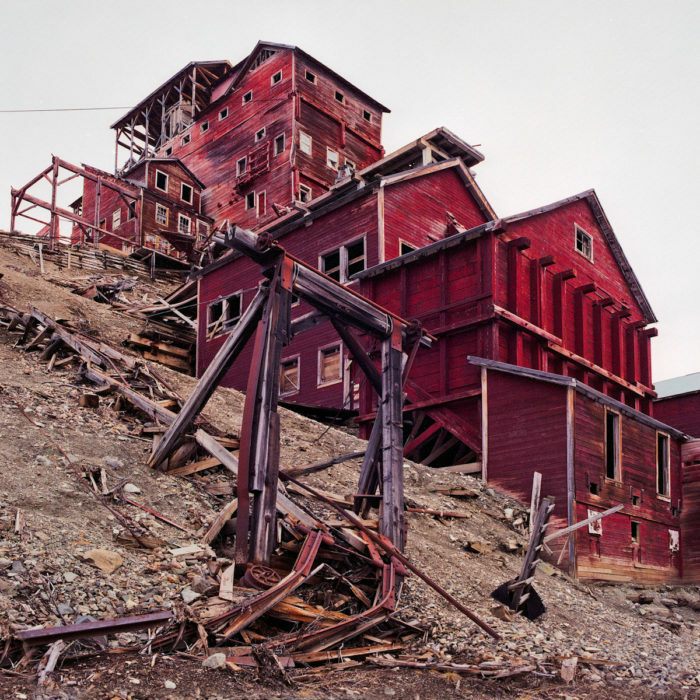 This hotel is said to be haunted by a ghost nicknamed “The Pink Lady,” a guest who fell to her death at the hotel in the early 20th century. 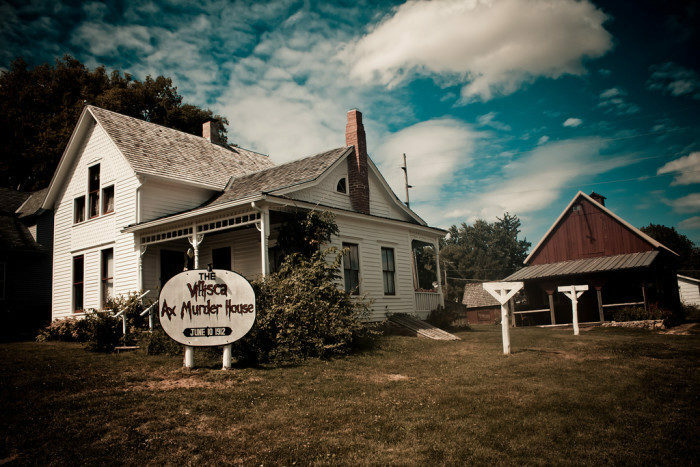 This cheerful-looking museum is said to be haunted by the spirit of a young boy who drowned in a well on the property. Visitors and employees also complain of elevators operating on their own and disembodied laughter echoing in the halls of the museum. 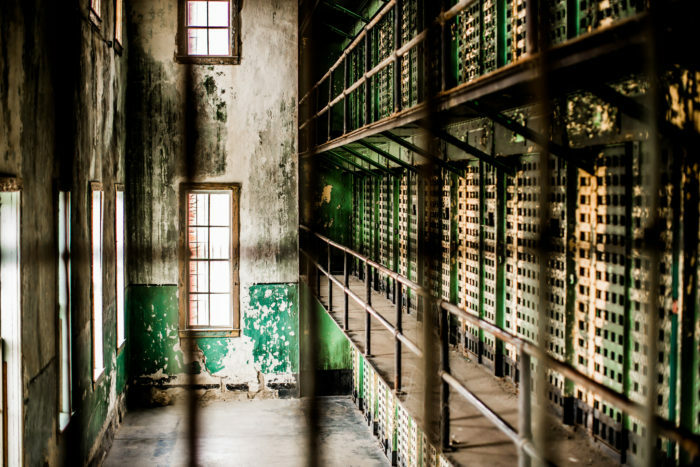 This prison is thought to harbor some of the most violent ghosts in Ohio. One of the most frightening and frequent supernatural reports involves the sound of rioting just out of sight. 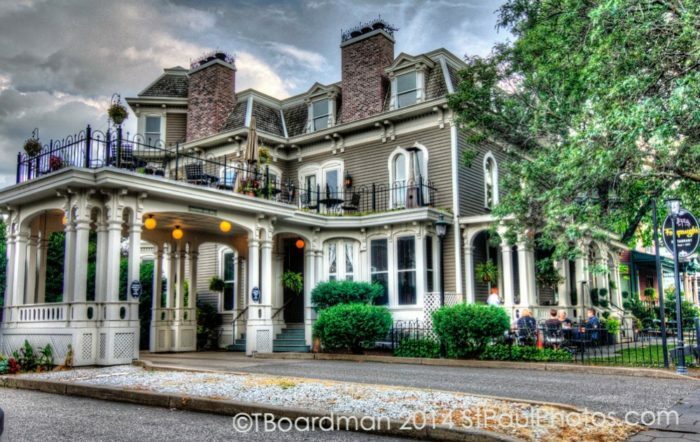 This Victorian mansion now operates as a bed & breakfast but was actually once a funeral home. 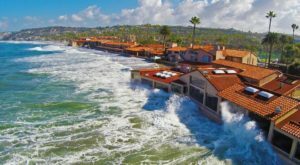 The current owners report footsteps, slamming doors and the sound of children playing. They believe that the house is haunted by the ghost of the former residents’ daughter, who died in the home at the age of 8. This graveyard is known for harboring the angry spirit of a 19th-century woman tried and hanged for witchcraft on the cemetery grounds. Before her death, she cursed the town and said that it would burn down three times. Since her proclamation, Lafayette has burned down twice. 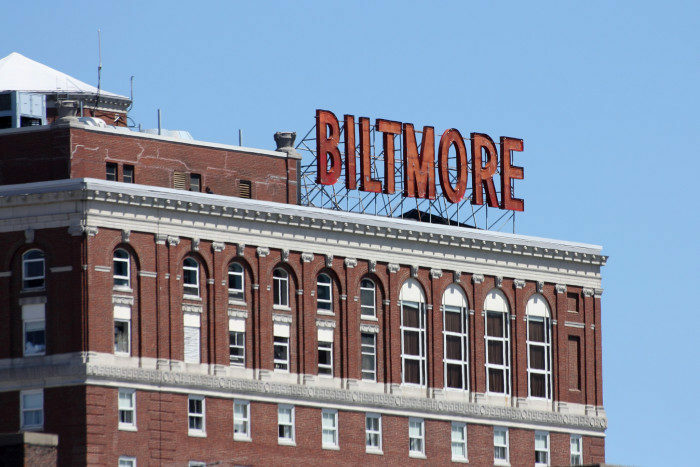 This hotel was the inspiration for Stephen King’s “Overlook Hotel,” as well as Robert Bloch’s “Bates Motel.” As if that weren’t spooky enough, the hotel’s former owner Johan Leisse Weisskopf was known to conduct regular animal sacrifices within the hotel during Prohibition. 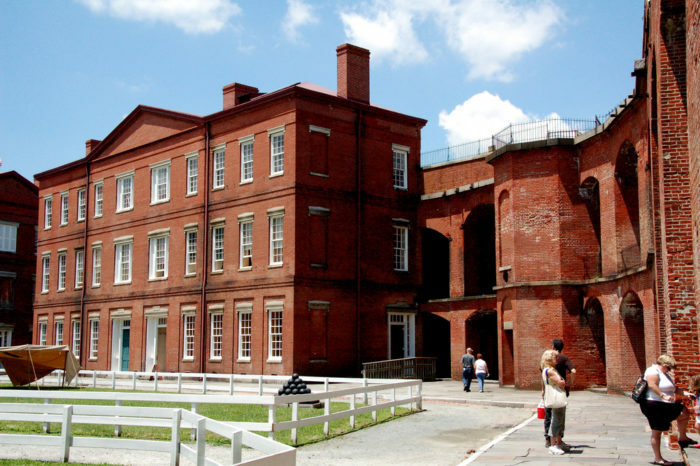 Opened in 1802, this prison is said to be haunted by the ghosts of violent criminals, including notorious female serial killer Lavinia Fisher. The jail closed in 1939 and has stood abandoned since. 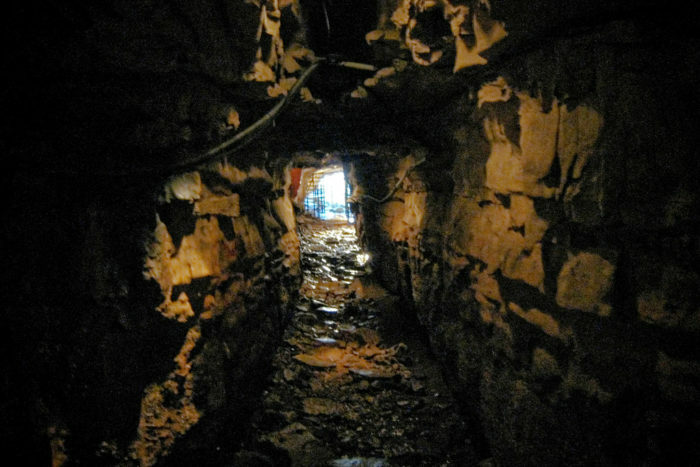 This cave is often considered one of America’s most terrifying haunted spots. In the 19th-century, the local Bell family was reportedly haunted by an entity known as the Bell Witch. 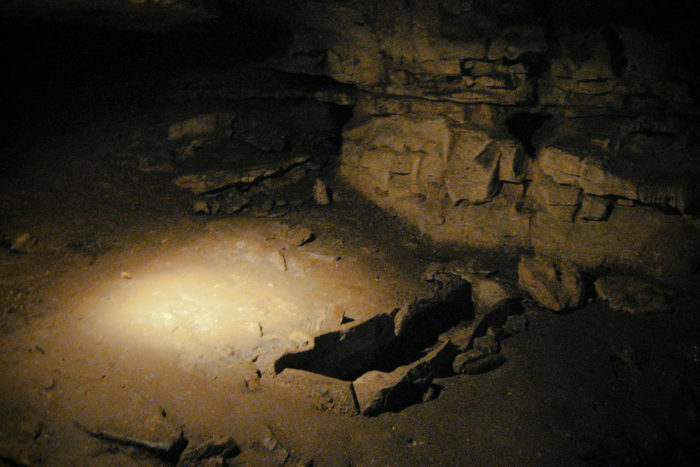 This cave is thought to be her domain, and visitors are warned against removing anything from the cave unless they want to risk being cursed by the entity. This bridge is supposedly haunted by a local girl who was abandoned by her fiancé in the 19th-century. The young woman hanged herself from the bridge, and visitors have reported a spooky sensation and ghostly sightings ever since. 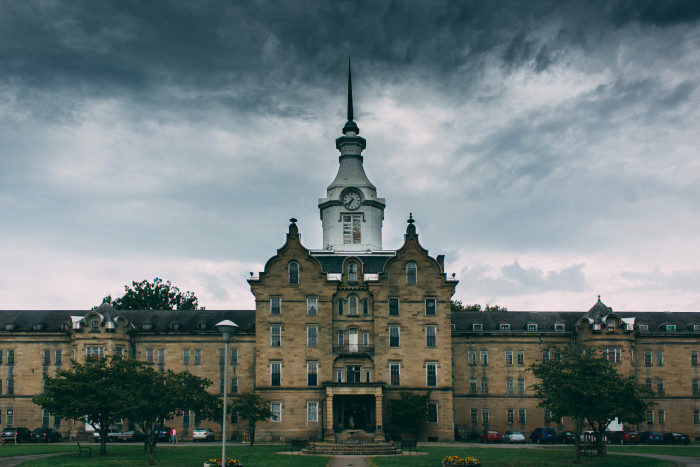 The Trans-Allegheny Lunatic Asylum housed the “criminally insane” and mentally afflicted during the 19th- and 20th-century. 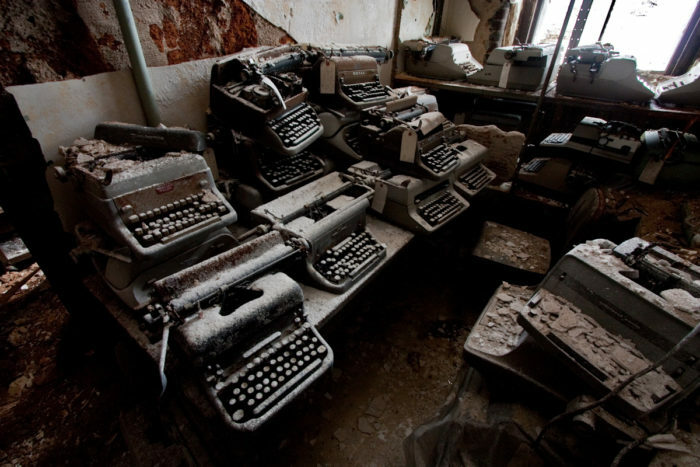 This gothic, abandoned hospital was known for its horribly overcrowded conditions, and explorers report encounters with the wailing ghosts of former patients. 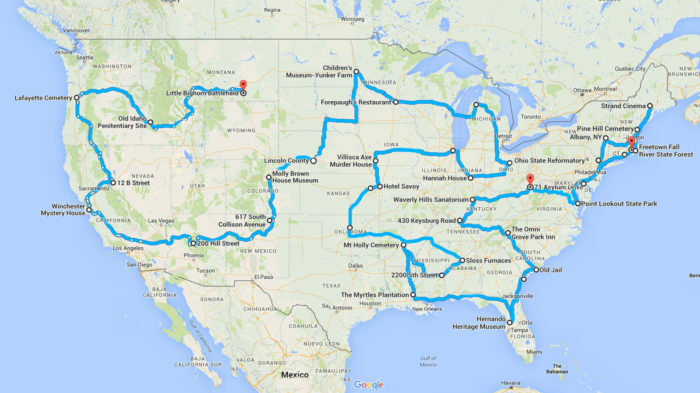 Are you brave enough to attempt this road trip? 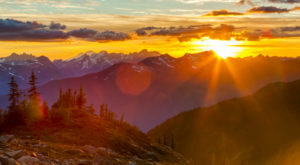 Have you been to any of these destinations before?